How much do Jazz suites cost? 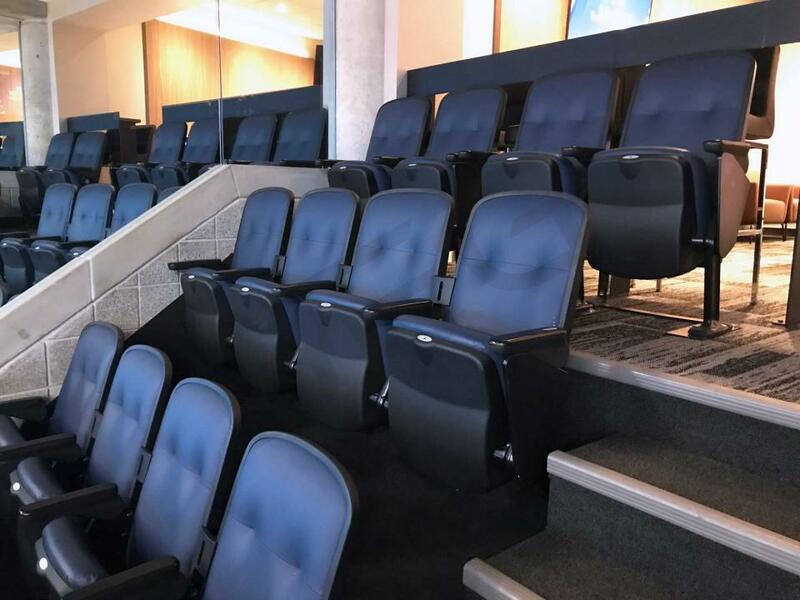 Utah Jazz suites will range from $6,000 - $10,000 per game. Prices will vary depending on who the opponent is and the day of the week the game falls on. Other events at the EnergySolutions Arena can vary widely depending on the type of event. A Utah Jazz Premium Suite will include 12 tickets and 3 VIP parking passes. Suites will feature balcony seating, entertainment space, a 55 inch HDTV, premium in-suite catering options, and a suite attendant. Guests with a suite ticket will also enter Vivint Smart Home Arena through a private VIP entrance. Up to 12 additional tickets can be purchased for the suite. 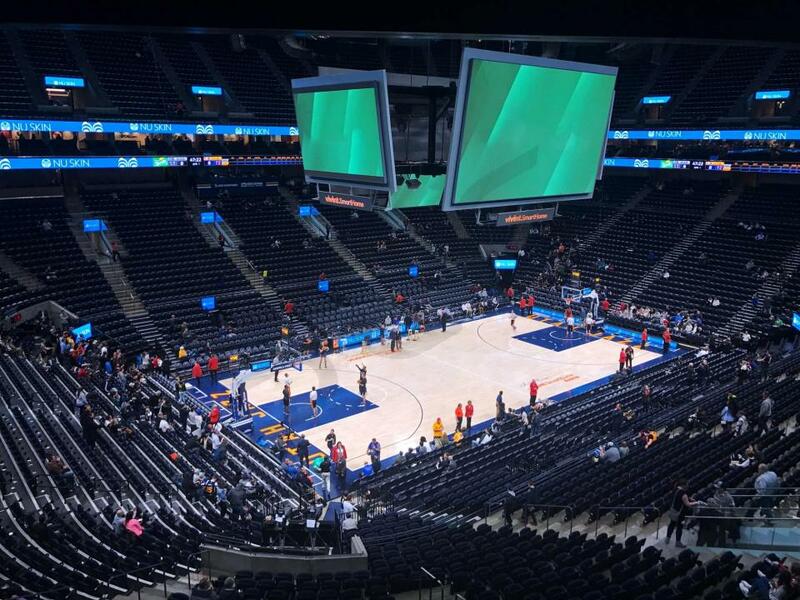 Executive Suites are located within the Silicon Slopes Club, just above the lower bowl, making this suite section quieter and more intimate than others at Vivint. 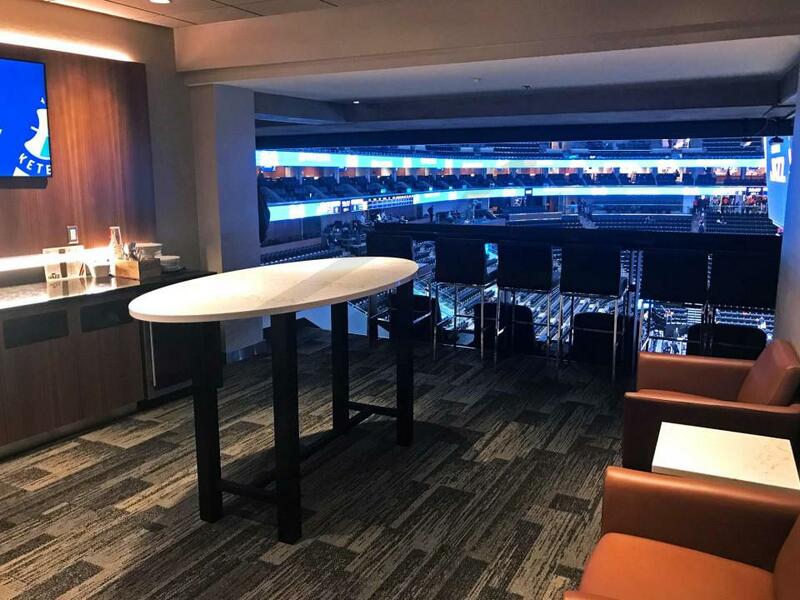 These suites include fine amenities like the other Jazz suites including flat screen TVs, private lounge space, kitchenette, and prime views of the action. 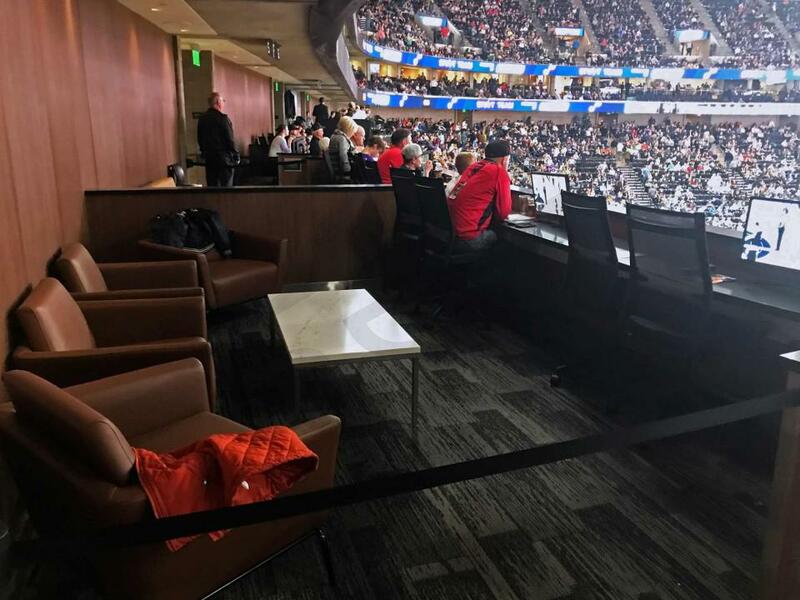 Courtside Suites are located right next to the court, and include stadium courtside seats where you can experience the action up close. You and your guests can move freely between your private suite and the included stadium seats. 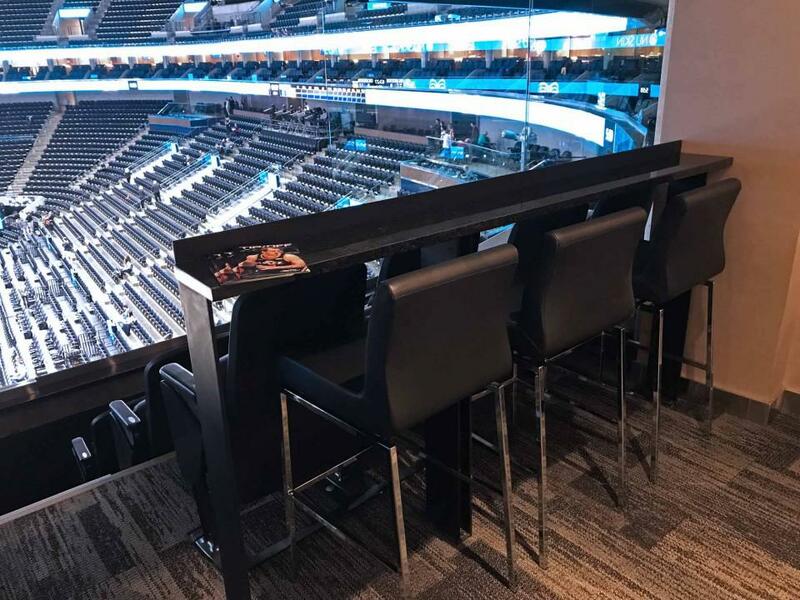 Courtside Suites include a private restroom, lounging area with coffee table, and dining area which can be catered. This suite option is ideal for larger parties, as the Corner Lounge can accommodate up to 34 guests. 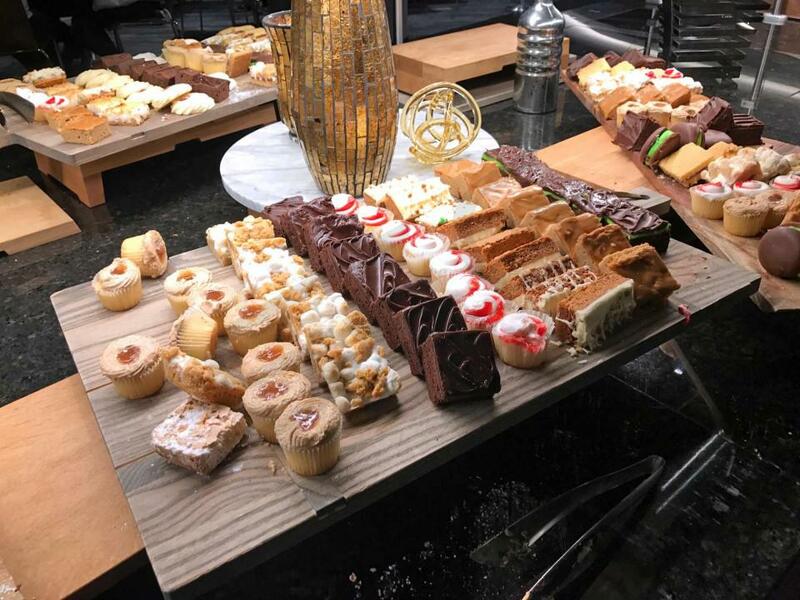 The Corner Lounge is located in the lower bowl and offers excellent views of the court or event. The Corner Lounge includes soda and water, and other fine amenities such as large HDTV, private lounge space, and kitchenette. 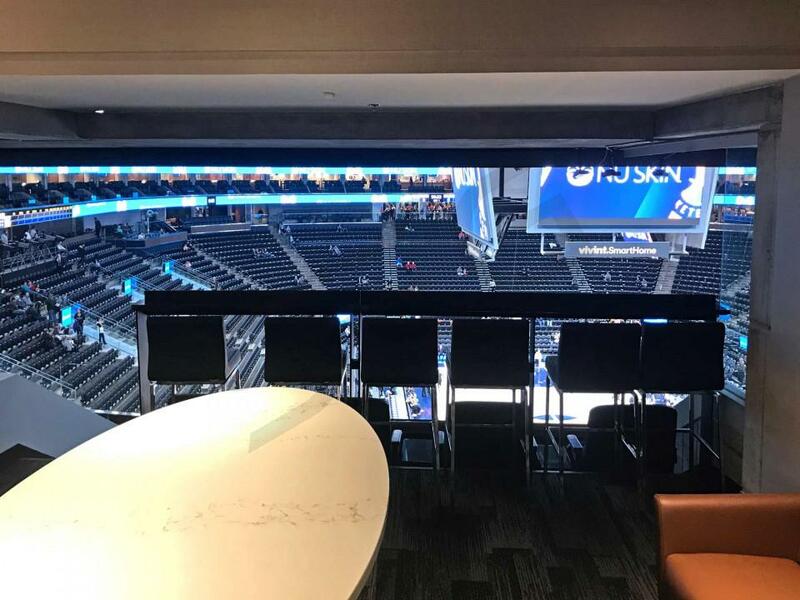 Vivint Arena Loge Boxes are located at the top of the 100 level, and feature a sectioned off area that is private to your guests. Each Loge Box includes 4 comfortable chairs that can move freely within the box, and 4 leather lounge chairs for ultimate relaxing. Loge Boxes are the perfect marriage of privacy and connection to the action! After a trip to the second round of the playoffs last season, the Utah Jazz have their sights set on a deep playoff run this year. Most of last year’s team will return, led by the reigning Defensive Player of the Year, Rudy Gobert, and the runner up in the Rookie of the Year voting, Donovan Mitchell. Last year the Jazz were one of the most surprising teams in the league. After losing Gordon Hayward in free agency, the Jazz were expected to drop out of the playoff race. Thanks to the emergence of Donovan Mitchell and an elite defense, Utah didn’t miss a beat. Mitchell was truly unbelievable as a rookie, showing superstar potential right away. His ability to score at will, combined with his unselfish, team first attitude, make Mitchell one of the bright young stars in the NBA. Donovan Mitchell will be a can’t miss player in Utah for years to come. While Mitchell carried the offense, Rudy Gobert is the anchor of the Utah defense. He finally won Defensive Player of the Year last season, an award he could have one in each of the past three seasons. As a dominant shot blocker and an excellent finisher around the rim, the Stifle Tower is undoubtedly one of the best centers in the league. Rounding out Utah’s starting lineup, Ricky Rubio, Joe Ingles, and Derrick Favors will all play key roles for head coach Quin Snyder. Rubio had arguably his been season of his career last year, which was his first in Salt Lake City. The chemistry he developed with Mitchell, Gobert, and others helped propel the Jazz to their 48-34 record. Rubio’s ability to control the pace of the offense at the point guard position is crucial to Utah’s success. On the perimeter, Joe Ingles has quickly become a fan favorite in Utah. With a high basketball IQ and a great three point stroke, Ingles is the ultimate role player. As for Derrick Favors, his size and athleticism make him the perfect frontcourt complement alongside Rudy Gobert. The Jazz have some intriguing players coming off the bench. Quin Snyder is excited to see what rookie Grayson Allen can contribute on offense. Allen enjoyed a tremendous 4-year career at Duke, and it will be interesting to see how his skillset translates to the NBA. Jae Crowder, Alec Burks, and Dante Exum will also play significant roles off the bench this season. 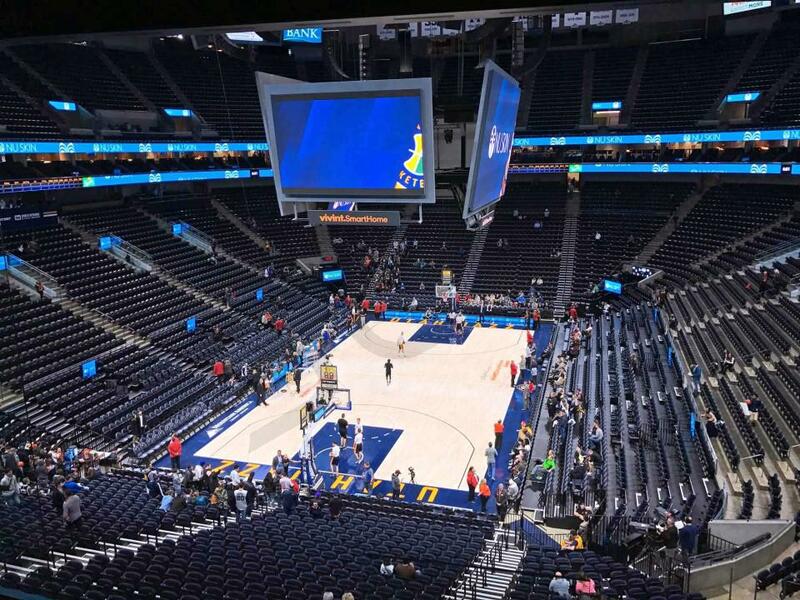 The crowd energy at Vivint Smart Home Arena is always one of the best in the NBA. 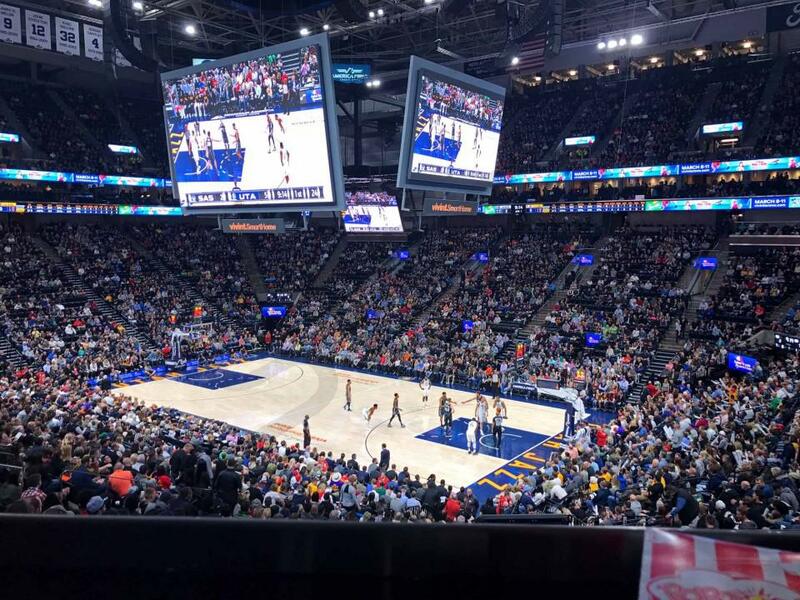 Basketball fans in Salt Lake City bring the noise night in and night out, giving the Jazz a great home court advantage. 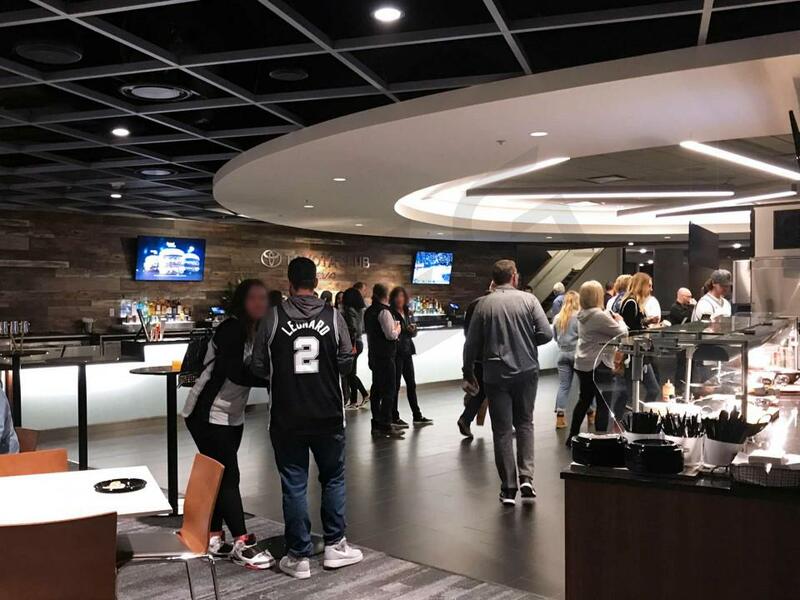 A Vivint Smart Home Arena luxury suite comes with a private restroom, luxurious furnishings, delicious food and beverage options, HDTV's, bar-style seating and a dedicated suite attendant. 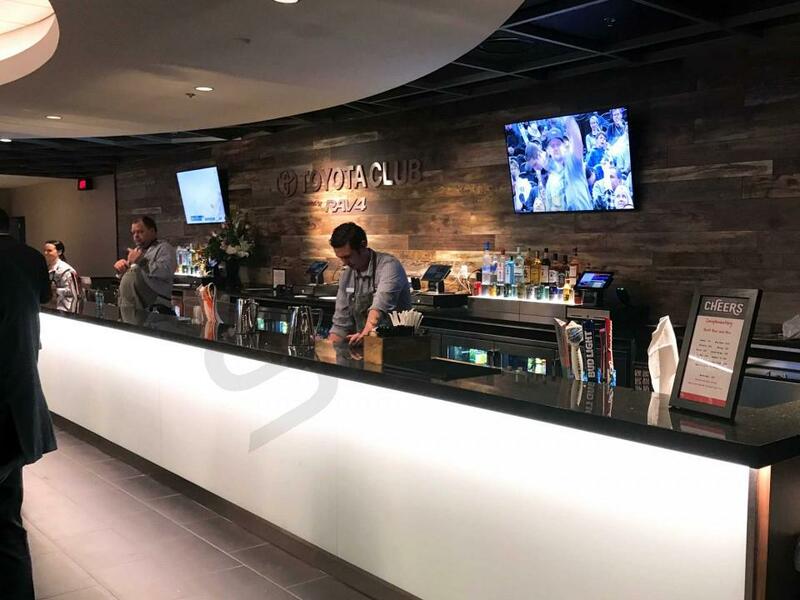 Vivint Smart Home Arena suites also come with entry to the arena through a VIP entrance and access to exclusive luxury clubs. The Utah Jazz showed tremendous potential in 2015, but couldn’t quite put it together enough to get to the playoffs. They finished with 40 wins and 42 losses falling just short of the postseason. This year the Jazz believe they can do a lot better than just make the playoffs and many experts have chosen Utah to become one of the best teams in the Western Conference next season. Leading the charge for the Jazz is wing Gordon Hayward, center Rudy Gobert and forward Derrick Favors. Hayward has developed into an extremely skilled wing in the NBA and the former Butler star is hoping that a winning season for his Jazz will push him into the All-Star game. The “Stifle Tower” as Rudy Gobert has been affectionately named is one of the best centers in the NBA. The French center uses his NBA-record seven foot and eight-inch wingspan to be a defensive monster around the rim. Last season Gobert led the Jazz in blocks per game with 2.2. Derrick Favors, a Georgia Tech product, has developed into one of the best young forwards in the league. Favors uses his strength and jump shot to excel when posting up, which has turned him into a consistently high scorer, averaging 16.4 points per game. To fill out their roster, the Jazz brought in Boris Diaw, Joe Johnson, and George Hill via trades. Each of those players will bring playoff experience, veteran leadership and stability. Diaw is a point guard in a forward’s body and excelled as an off the bench scorer and playmaker in San Antonio. Johnson is a big guard who is an excellent shooter and strong defender. George Hill is definitely the biggest pick up of the year for the Jazz. Hill solves their point guard question and will allow Gordon Hayward and third-year wing Rodney Hood to operate in the pick and roll because of his shooting. All in all, if the pieces the Jazz have assembled fit together properly then Utah will be one of the best teams in the league. 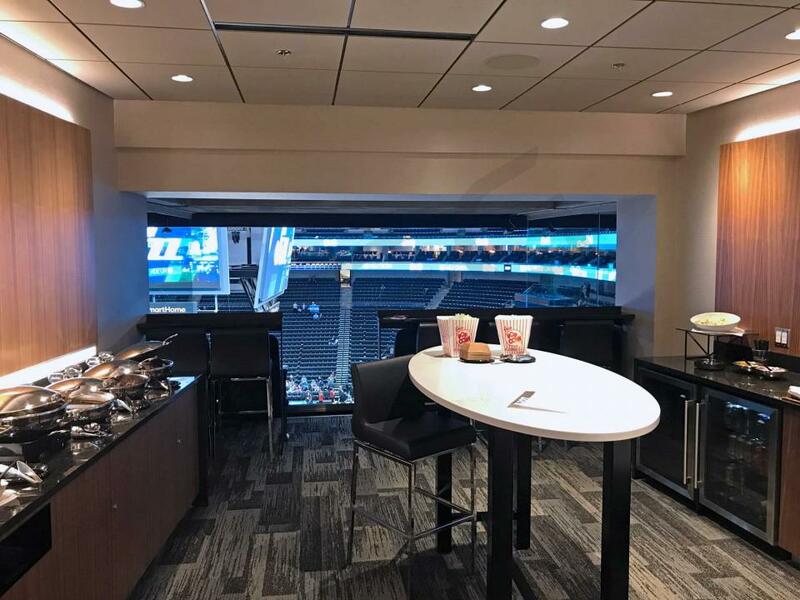 Watching Utah Jazz basketball from a Luxury Suite at Vivint Smart Home Arena is an unforgettable experience and an ideal location for entertaining clients or celebrating with friends and family. 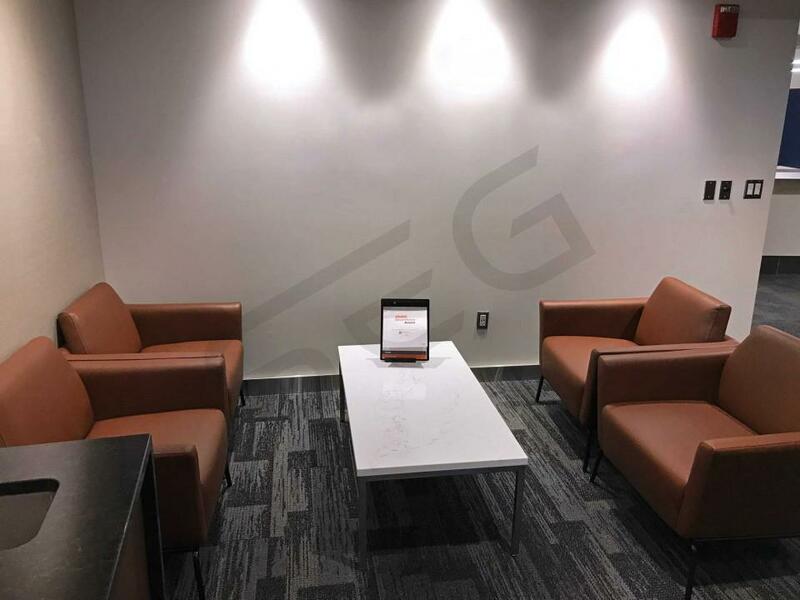 A Vivint Smart Home Arena box comes with a private restroom, luxurious furnishings, delicious food and beverage options, HDTV's, bar-style seating and a dedicated suite attendant. Box tickets also come with entry to the arena through a VIP entrance and access to exclusive luxury clubs. Vivint Smart Home Arena will also be hosting Maroon 5 and NCAA Basketball March Madness. Thank you for signing up for specials at Vivint Smart Home Arena. Enter your email address below to stay in touch. We'll sign you up for our newsletter, which will inform you of the latest inventory and events at Vivint Smart Home Arena. We promise we will never sell or distribute your information. The seating chart below shows where the Utah Jazz suites at Vivint Smart Home Arena are located.